Most people are familiar with this: If days are short and the sky covered with clouds, one can suffer from laziness. The longer bad-weather periods keep going, the greater becomes the longing for the sun. 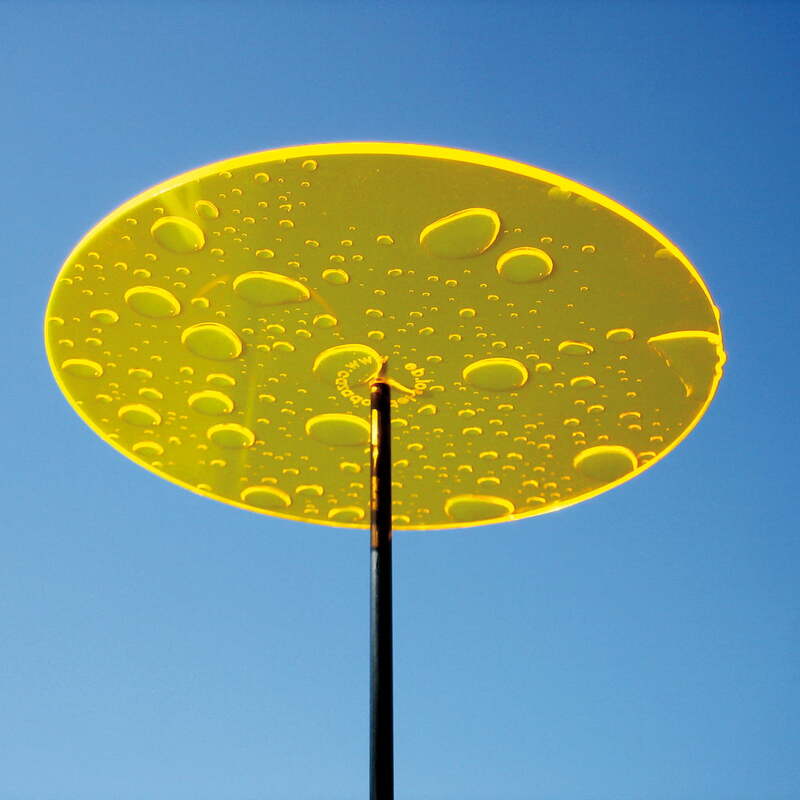 A sun catcher will help – independent of the weather. 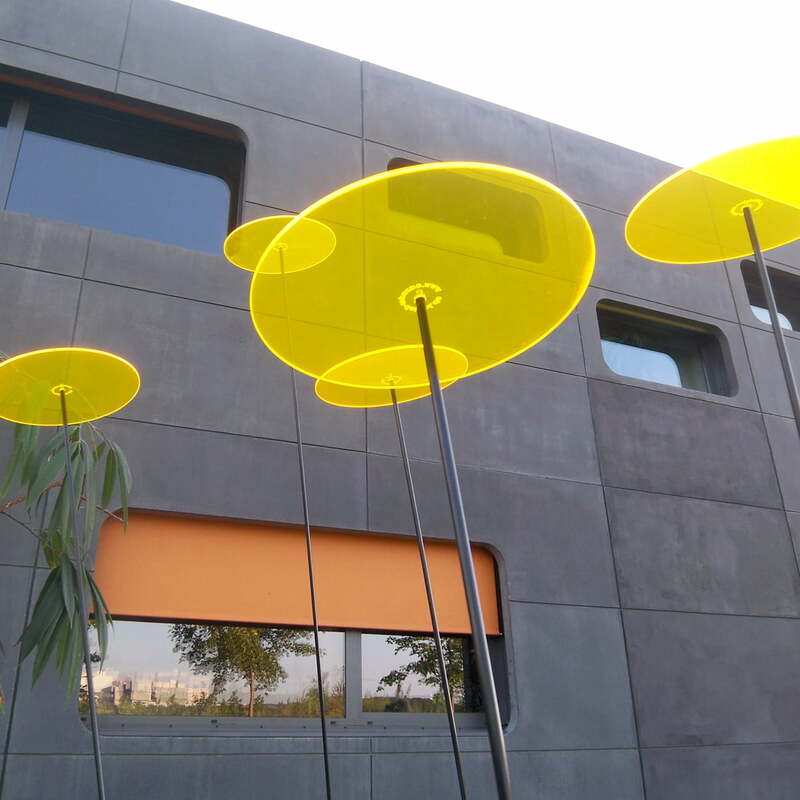 The magic of Cazador del sol lies in fluorescent colours. 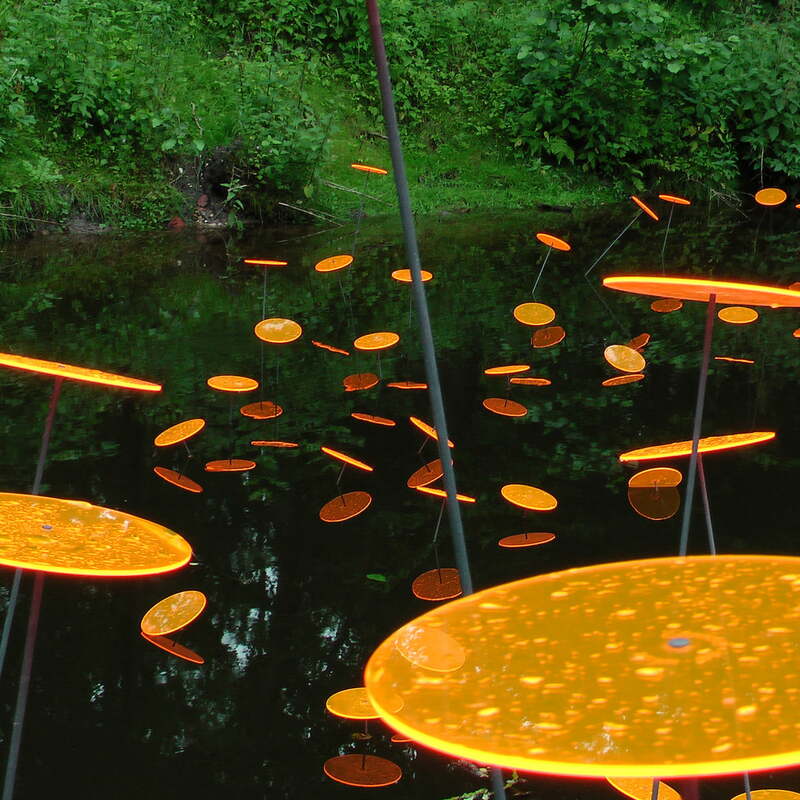 The Plexiglas panels also include fluorescent fabrics. 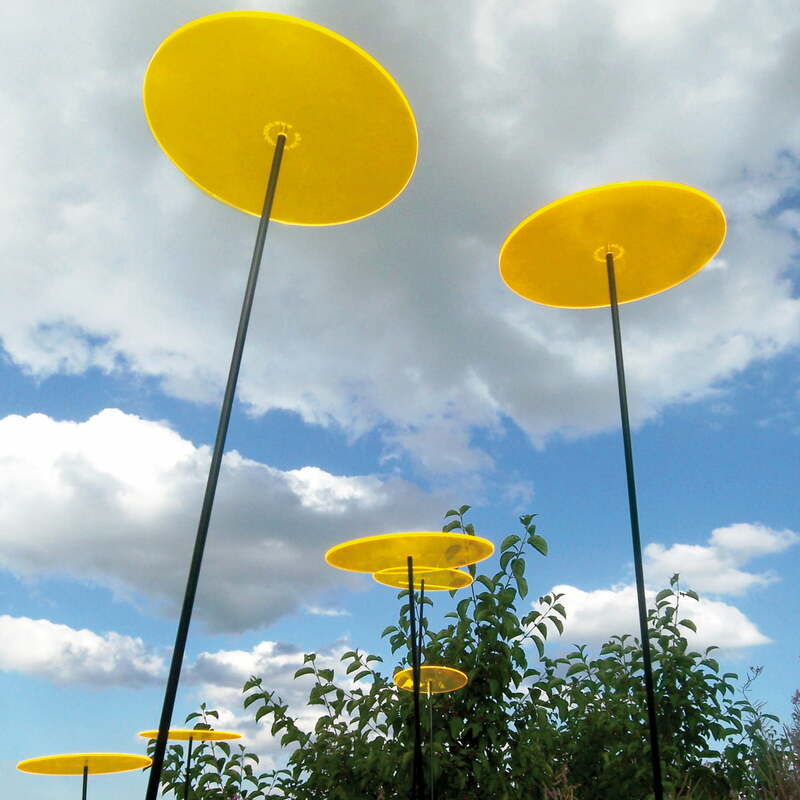 These ensure that the invisible, short-lasting spectral components (UV-light) of the daylight are transformed into long-lasting visible light that is even brighter. Yellow is the colour that provides for a good mood. 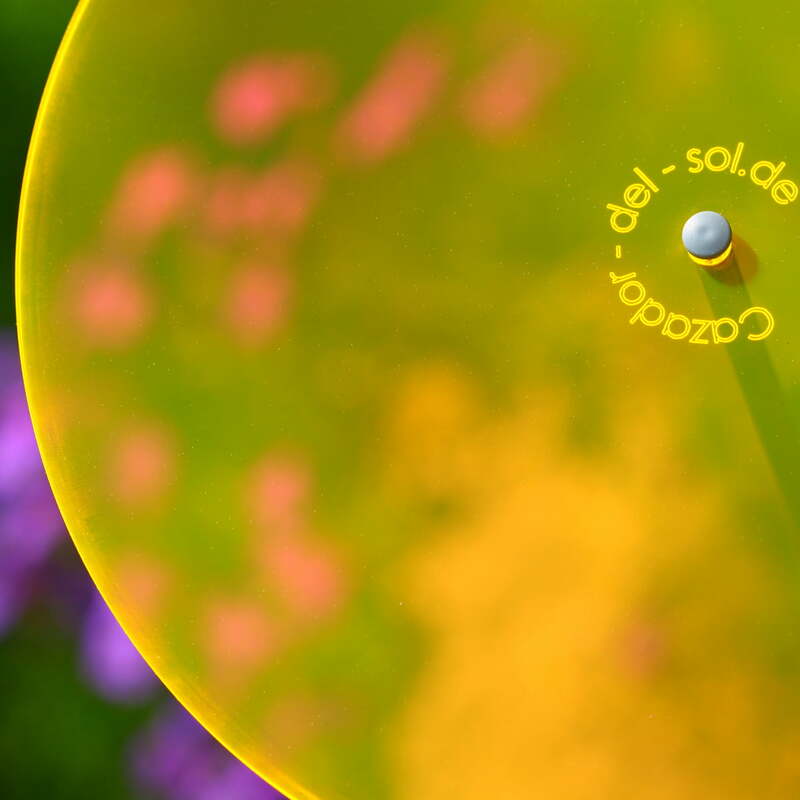 So there is no question why the Cazadore del sol shine in this colour. 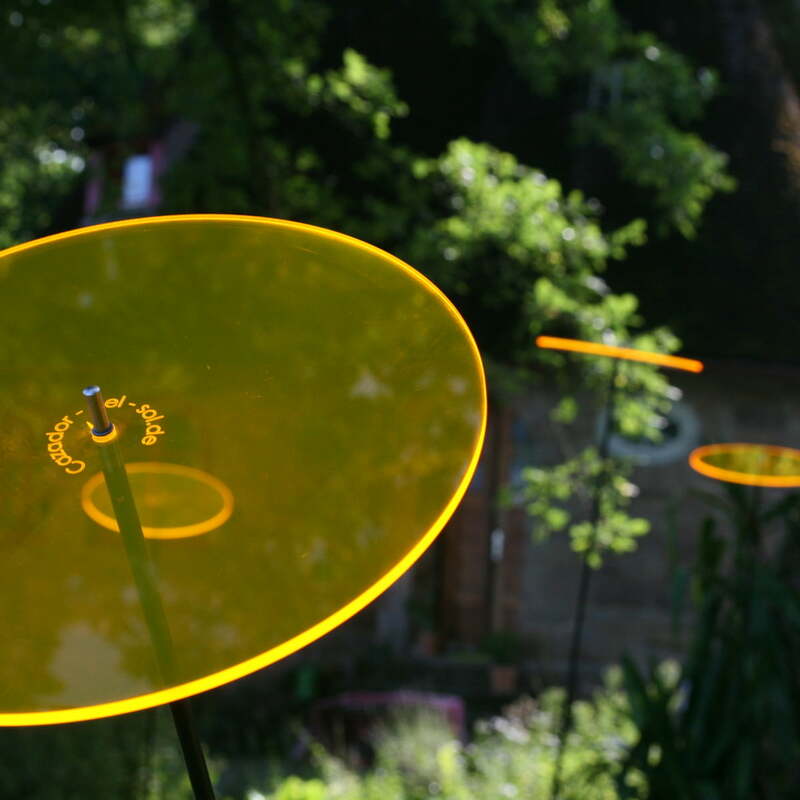 Contrasting most fluorescent objects, such as highlighters, the sun catchers don’t shine glaringly, but in a beautiful warm yellow. Welcome, good mood! The Cazador del sol sun catchers consist of weatherproof Plexiglas. 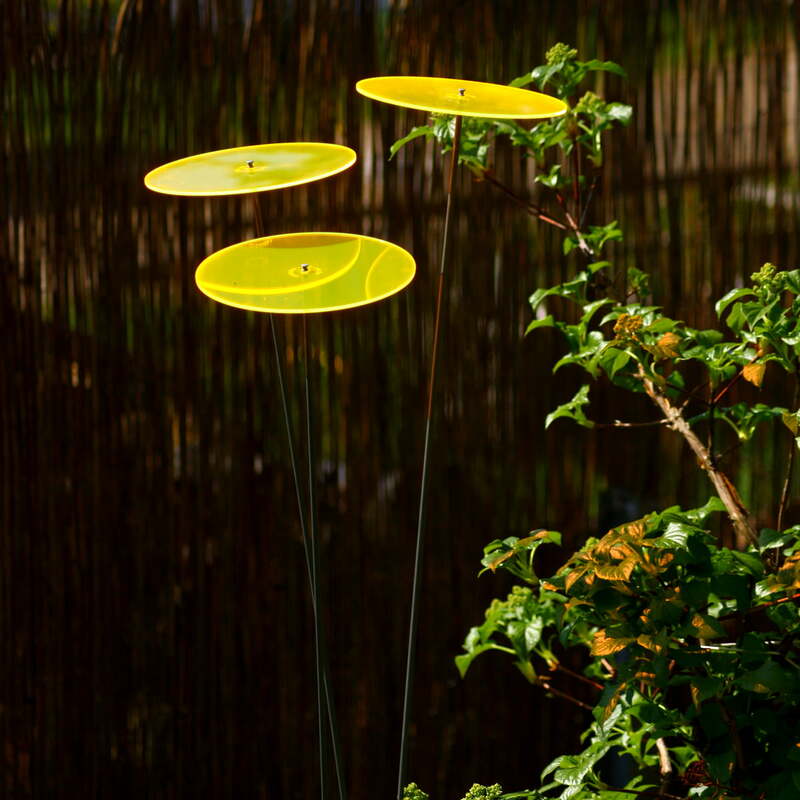 This material supports the luminosity of the discs, since it directs the light better than other materials. Most people know this: If days are short and the sky covered with clouds, one can suffer from laziness. The longer bad-weather periods keep going, the greater becomes the longing for the sun. 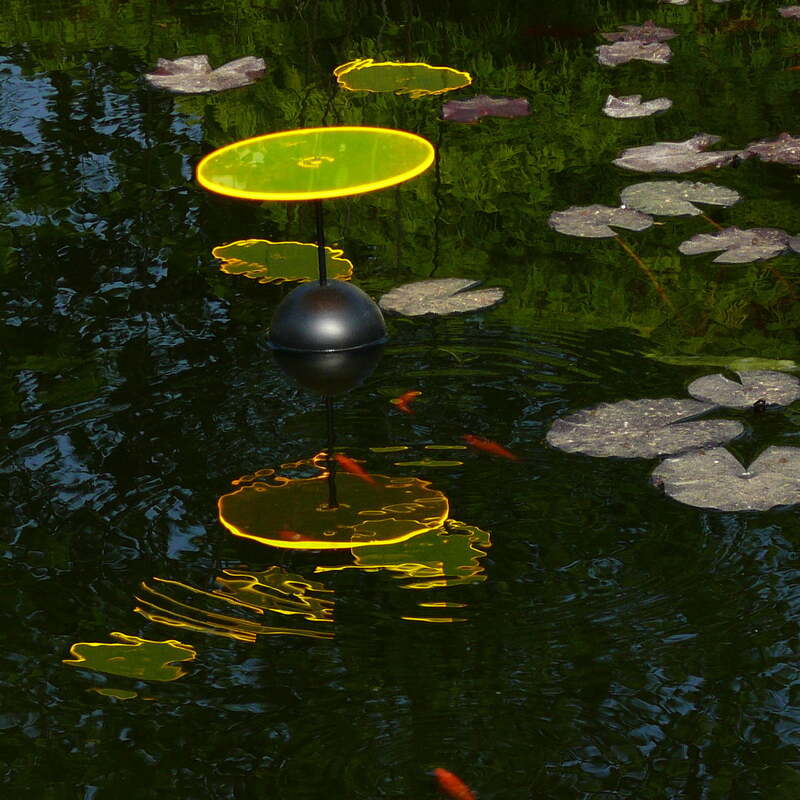 A sun catcher will help – independent of weather conditions. 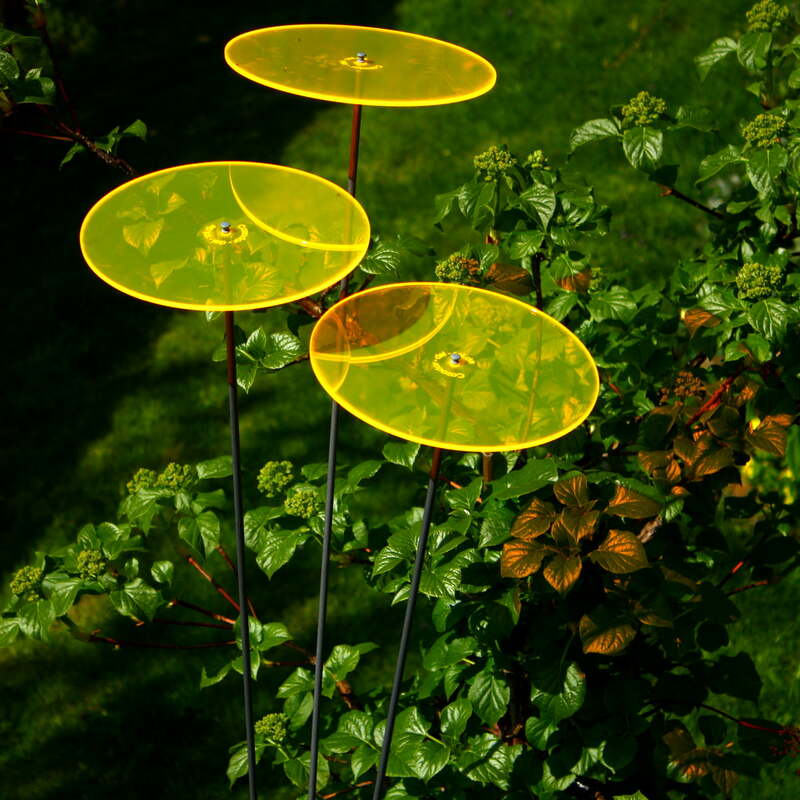 Each sun catcher is delivered with a glass fibre reinforced rod which is simply placed in the ground or a flower-pot. 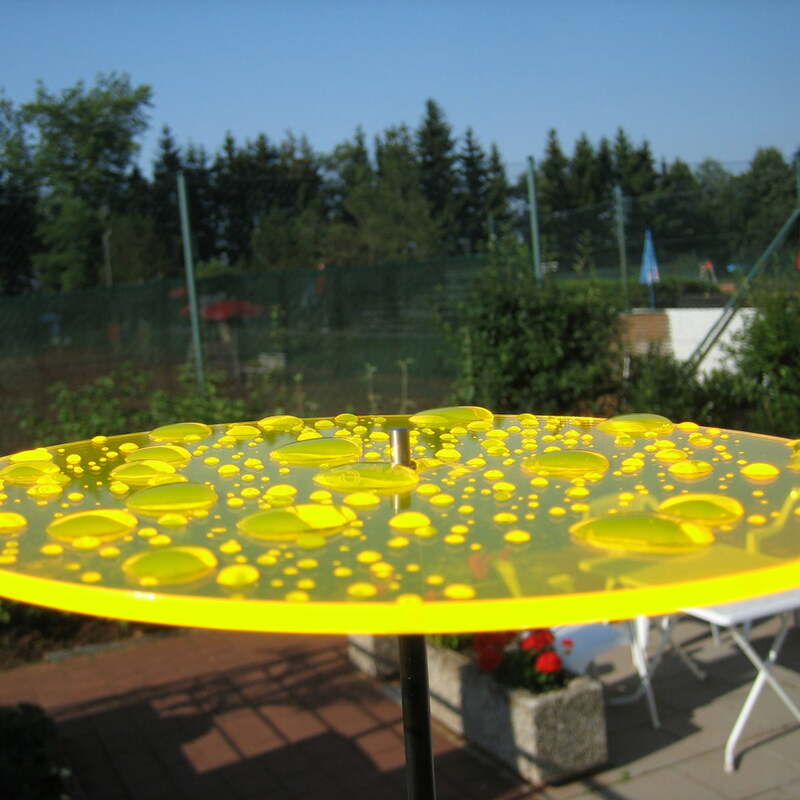 This is how the Uno sun catcher is usable throughout year, bringing a smile to your face, even on cold winter days. 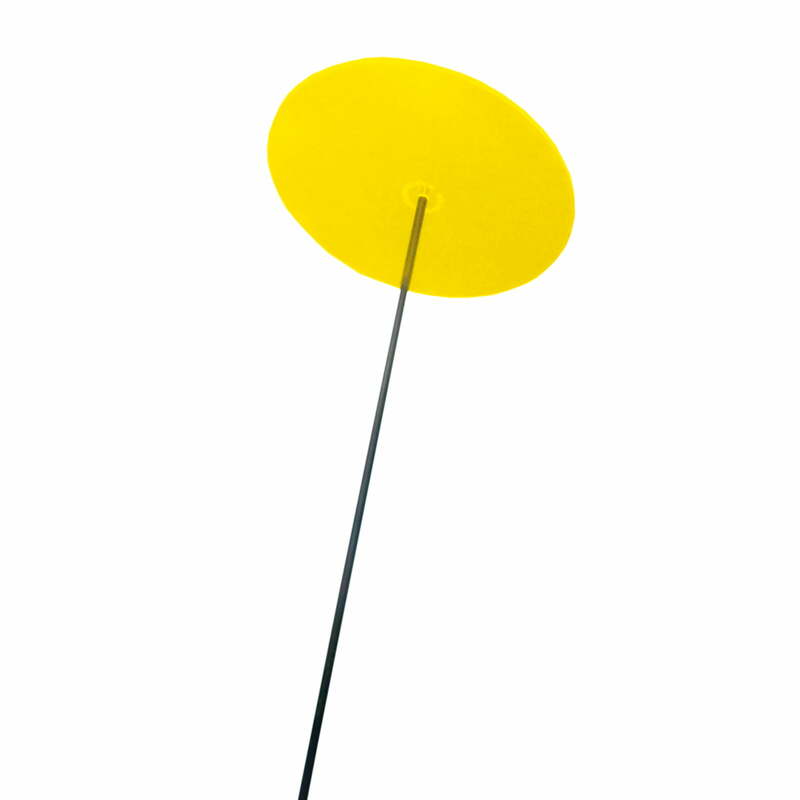 Please note that the Uno sun catcher is delivered in two separated packages, since the pole has to be mailed as a bulk package. Bulk forwarding takes about 1-2 days longer than usual; this means that it is possible that you will receive your packages on different days.